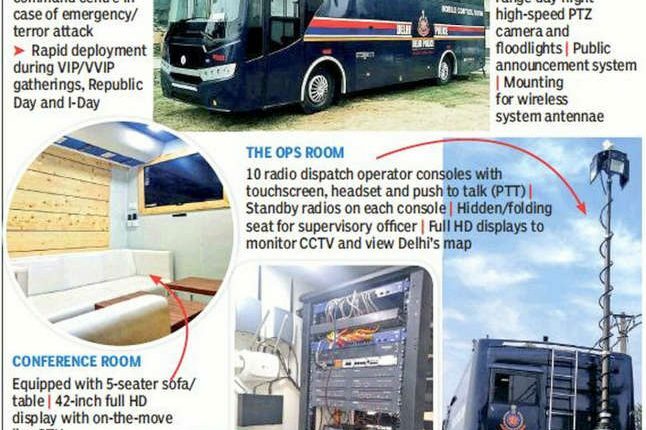 This state of the art bus was built over a period of 6 months and is the first of its kind in the country. Image credit to ANI. 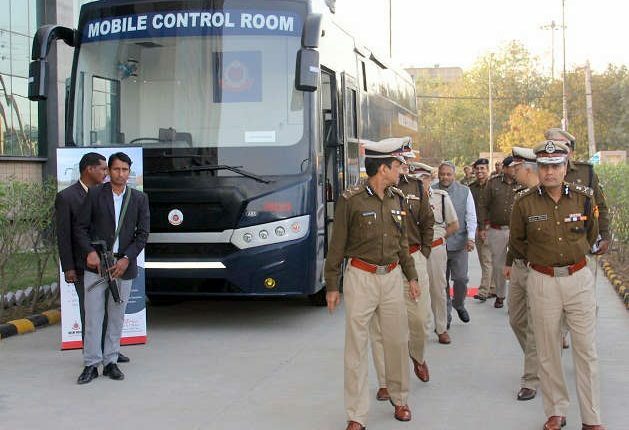 A new hi-tech bus has been inducted into the Delhi Police force. 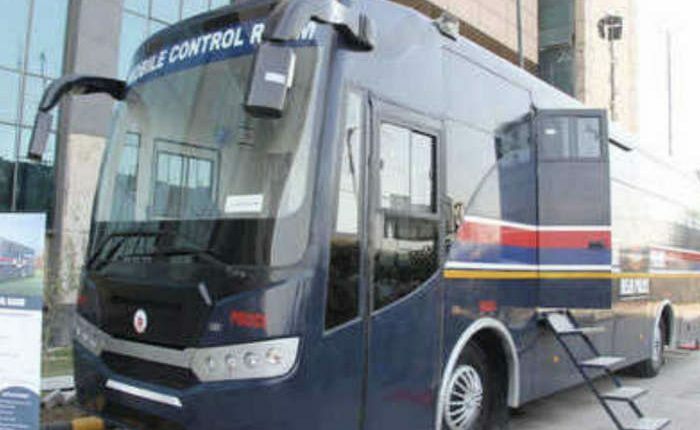 This bus is the result of a tender floated for the customization and fabrication of this bus, which was picked up by Bengaluru based firm, Mistral and built at a cost of Rs 3.7 crores. 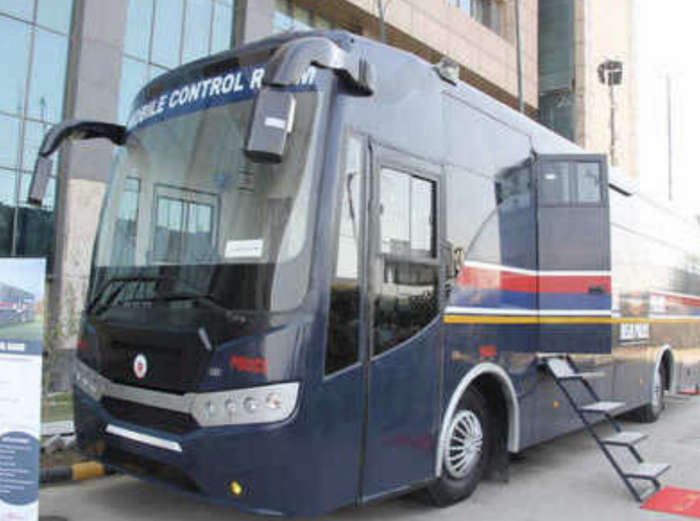 What makes this bus extra special is that it comes with loads of on board technology, state of the art surveillance system and communication devices. 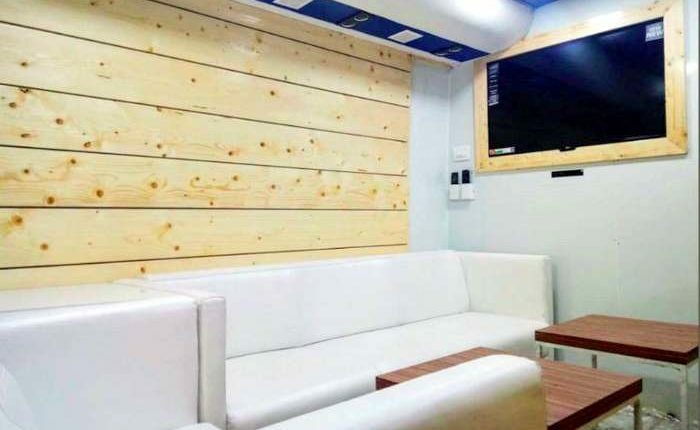 The bus also houses a conference room, and an operation center. 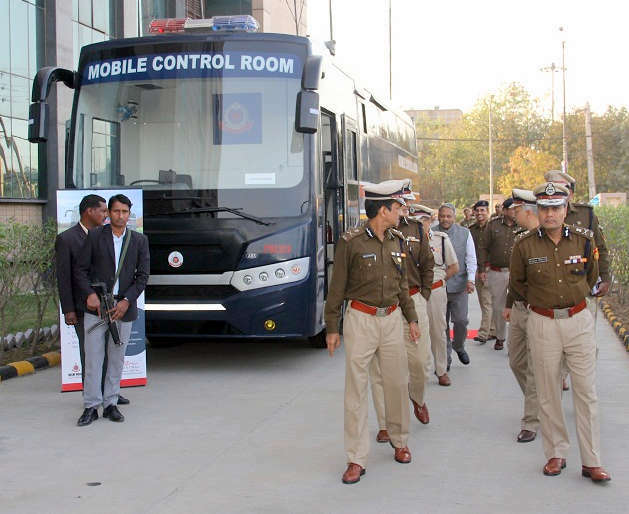 Delhi Police will be using this bus during an emergency or for tactical situations, to help citizens in a faster and more organized way. 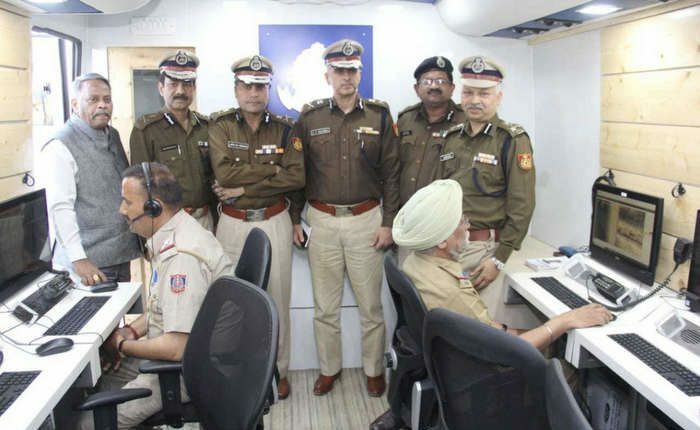 It will also be used by the Intelligence Bureau and National Security Guards in a crisis. 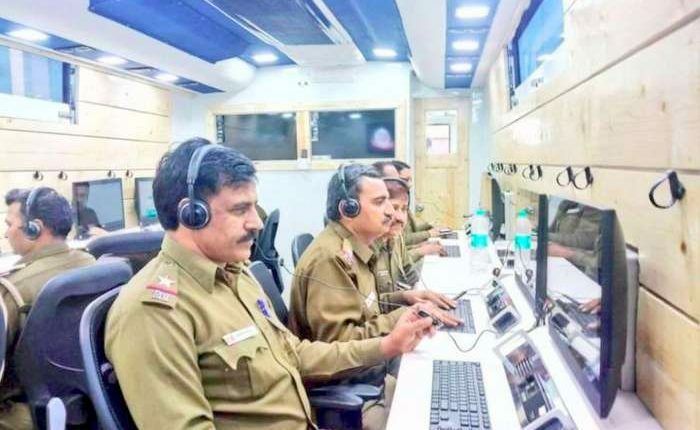 Its hi-tech surveillance and communication equipment will allow for timely communications during such situations while providing infrastructural protection. 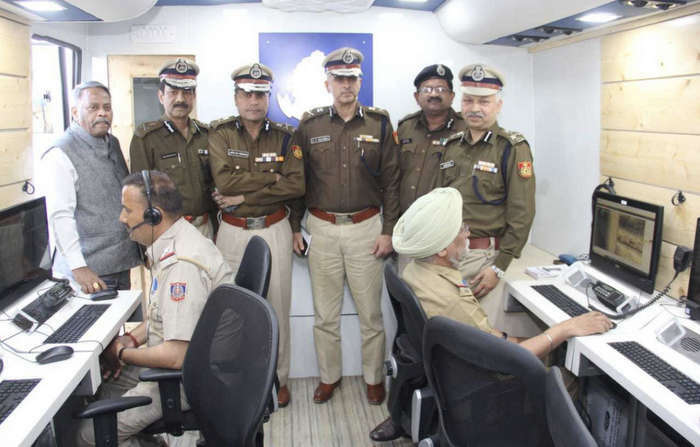 The Mobile Control Room gets all the advanced communication devices that are necessary for such emergency situations. The equipment room sports multi grade racks, an integrated communication system, Network video recorder and a 4G radio conference system with 20KVA generating set and a 5KVA uninterrupted power supply. 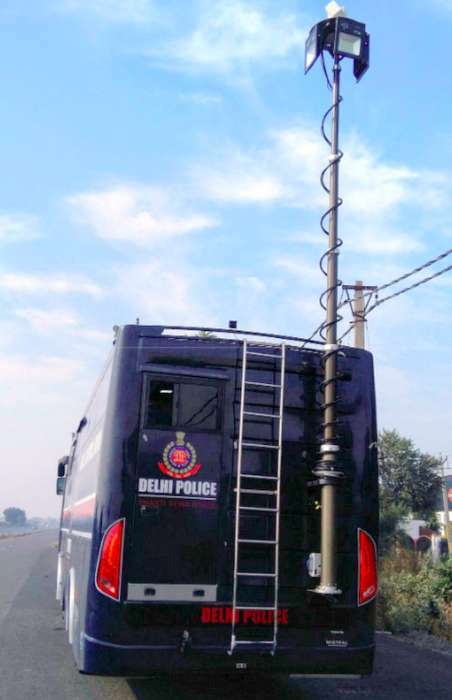 The bus is fitted with high speed, long range, day and night PTZ camera and flood lights, a public announcement system, and a mount for wireless system antenna. Image – Times of India. 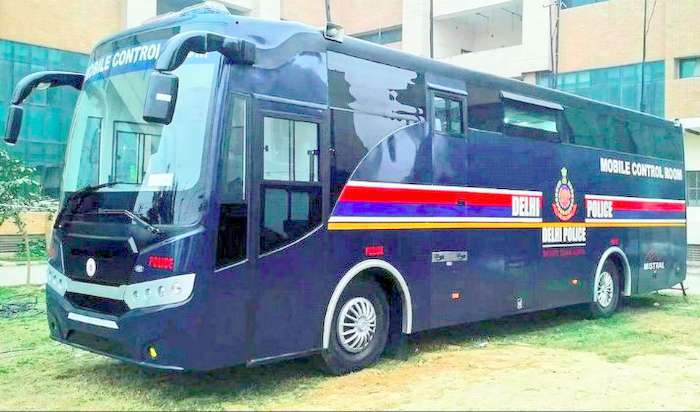 The new bus is painted in Delhi Police colours of navy blue with stripes, and Delhi Police logos. It also gets a single wide window that is manually operated. It gets ergonomic interiors that are fully air conditioned. 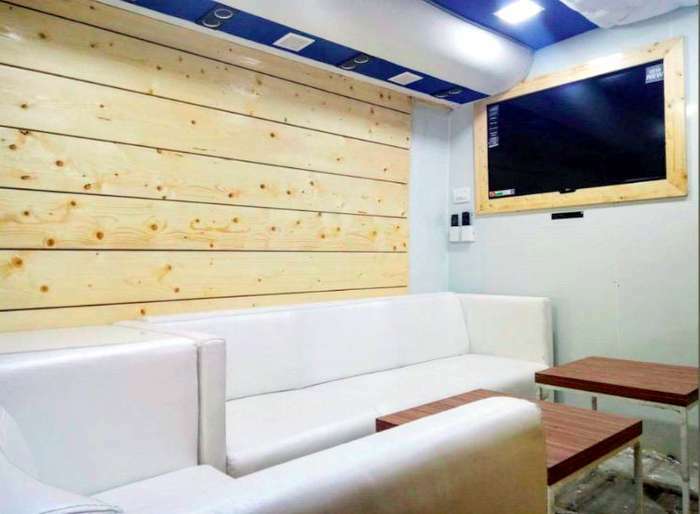 The conference room seating is in the form of 5 seater sofa, and gets a large 42″ full HD display with on the move life DTH. 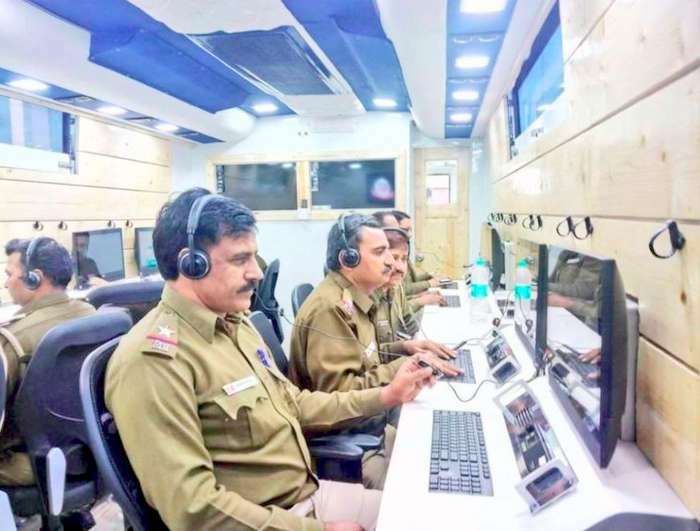 The OPS room is fitted with 10 radio dispatch operator consoles with touchscreens, headsets and push to talk system. 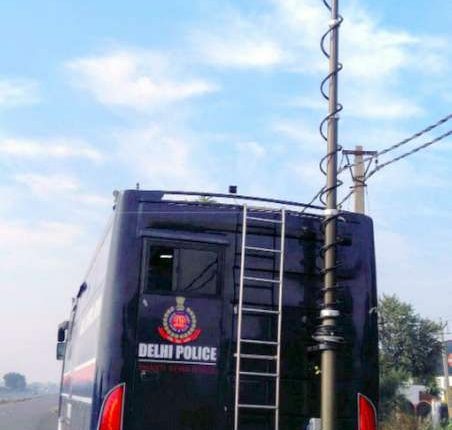 It also gets a full HD display to monitor CCTVs and a view of Delhi’s map. 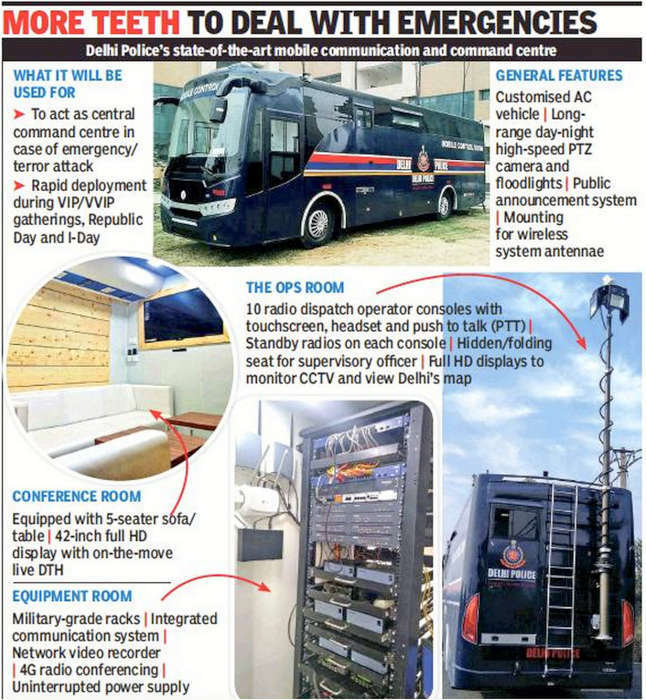 The bus will also be used for security for VIPs and dignitaries during occasions such as Republic Day and Independence Day. It will also play a major role during the upcoming general elections. Image - Times of India.